Our History is what defines us. Durham Aged Mineworkers’ Homes Association grew from the vision of Joseph Hopper, a miner and lay preacher. Hopper believed that a man who had served in the coal mines all his life deserved better than to be evicted from his tied colliery home when he retired. 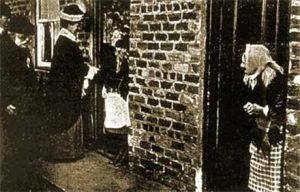 A small weekly levy voluntarily donated from miners’ wages, plus donations of land and materials from mine owners and others, allowed the homes to be constructed and let free of charge. 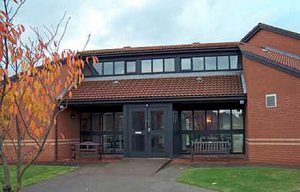 Although the Durham coalfield is no more, the Association has survived and prospered and continues to offer high quality homes for older people. Whilst you no longer need to have a mining background to have a DAMHA home, we have never forgotten our roots and are proud to have helped so many former miners find homes in or near to the communities where they grew up. 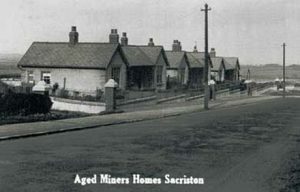 In the early days of the movement with hardly any funds available to build new homes, old disused mansions were acquired and converted at Boldon, Shotton Colliery and Shincliffe. In addition, a complete village was purchased at Haswell Moor. District communities were formed across the county to oversee the raising of funds and building programmes. 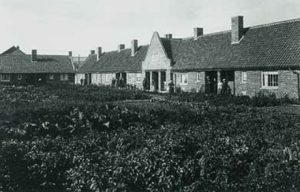 By 1909, over 200 homes for married couples and a number of single mens’ hostels had been provided. 1894 – Death duties introduced. During this decade, DAMHA built homes in almost every Lodge area in the county. In 1913 the Association received royal recognition when HM Queen Mary visited a number of the houses. 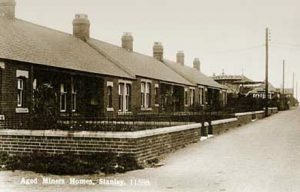 At the beginning of the war in 1914, 475 homes and a number of single mens’ hostels had been built. The war had an obvious impact on building programmes but miners still made contributions to the funds. And, with the help of generous donations from other sources, the Association managed to achieve a healthy financial situation at the end of the war. 1908 – Parliament approves old age pensions. 1910 – Coronation Homes, Esh Winning. 1910 – King Edward VII dies. 1911 – National Insurance Act provides sickness and unemployment cover. 1912 – Titanic sinks on maiden voyage. 1912 – Scott dies on expedition to South Pole. 1913 – Suffragette Emily Davison is killed by the King’s horse. 1913 – HM Queen Mary visits DAMHA homes. 1914 – 1918 – First World War. The 1920s were the most prolific era for home building in the Association’s history to date. By 1923 over 1,600 people were housed and each year between 50 to 100 new homes were being built. The decade will be remembered for the General Strike of 1926 and the depression that followed. These were lean years but the Association’s fund-raising activities and building programmes were maintained. Memorial homes for disabled soldiers and sailors who served in the Great War were being built and the cost of building new homes had doubled since the pre-war years. 1924 – Aged Miners Homes, Langley Park, Opening Ceremony. 1924 – The Joseph Hopper Memorial Trust Homes opened at Birtley. 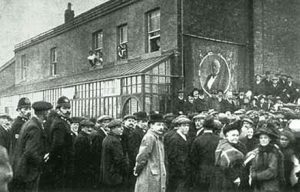 1926 – The General Strike, one million miners on strike for a two shilling (10p) raise. 1926 – John Logie Baird gives first public demonstration of television. 1927 – BBC is created. 1928 – Women over 21 get the vote. During the early part of this decade, the after affects of the depression and the General Strike were still being felt. Subscriptions were low which impacted on building programmes. Additionally, some of the original housing stock, now totalling 1,800, was in need of repair. Coal mine closures left Aged Miners Homes isolated and without Lodge support for repairs and free coal, a burden was placed on already limited resources. The few homes that were being built were becoming more reliant on the generosity of subscriptions received from donations from organisations including Co-operative Societies and Workingmen’s’ Clubs, as well as private individuals and industrialists. ‘The Million Shilling Fund’ which had started at the beginning of the decade, was wound up after five years having collected £22,472. 1936 – Abdication of Edward VIII to marry Mrs Wallis Simpson. 1936 – The Jarrow Crusade. 1937 – George VI is crowned King. 1938 – VW Beetle made its debut. 1939-1945 – Second World War. 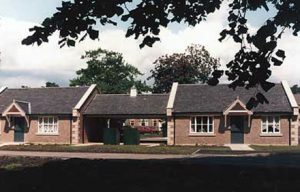 During the war years no new building took place and maintenance of the homes was carried out when materials were available. Income from subscriptions and donations was steady and the Association managed to keep its head above water in competition with the war effort schemes and savings plans that were being promoted at the time. In 1944 an additional income was received by means of fines deducted by collieries under the ‘New Procedure Rules – Volunteer Absence’. These were fines levied on workers for being late or absent from shift and handed over to the Association. The end of the war saw the Association having to ask Lodges to increase their contributions. This was mainly due to the lack of maintenance being carried out on the homes during the war, and the ever-increasing cost of materials. 1940 – Food rationing introduced in Britain. 1940 – Battle of Britain fought in the skies. 1945 – USA drops atomic bomb on Hiroshima and Nagasaki. 1945 – Germany surrenders and World War II ends. 1948 – National Health Service established. The only notable new building work carried out was the homes at Hunters Place, Easington and the William Whiteley Homes at Greenside. Messrs Pease and Partners, who were coal owners and industrialists, transferred 10 memorial homes they had built for soldiers returning from the war at St. Helens, Bishop Auckland, Eldon, Shildon, Chilton and Windlestone, plus a gift of £1,000 for their maintenance. 1950 – General Election sees Labour returned with a majority of five seats. 1951 – Colour TV introduced. 1952 – King George VI dies and Queen Elizabeth II succeeds him. 1952 – Food rationing ends in Britain. 1955 – Commercial television starts with first ITV broadcast. 1956 – The Suez Crisis. 1957 – Munich air crash kills 23 people including eight Manchester United footballers. The 1960s and 1970s can be regarded as the lean years. The slow decline of the Durham Coalfield was reflected in the reduced contributions from the Lodges. 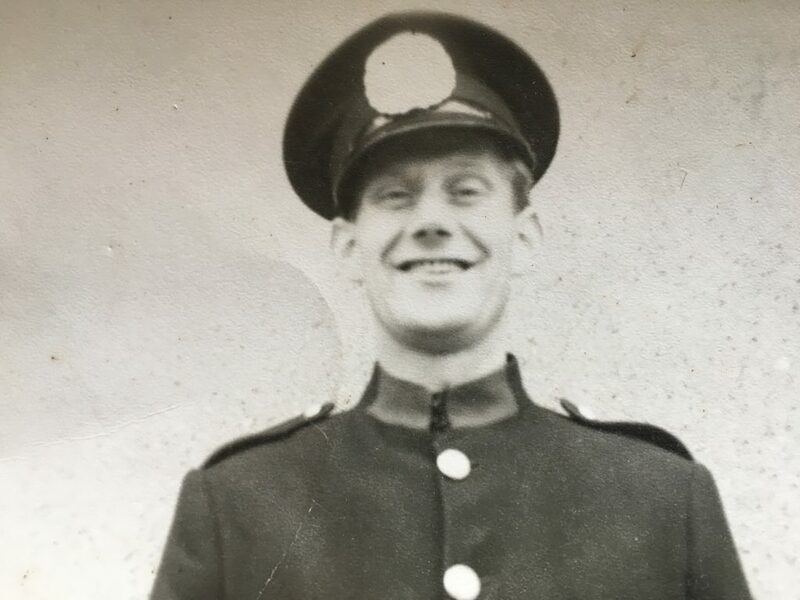 There was more of a reliance upon bequeaths, donations and appeals, to try and achieve the income required to carry out a programme of modernisation and repairs. Expensive assets like single men’s hostels, which were a heavy drain on funds, were sold off and a small rental charge was introduced for the first time as a means of generating income. For two decades no new homes were built. 1963 – The Great Train Robbery. 1963 – Assassination of President Kennedy. 1965 – The death penalty is abolished. 1966 – England win the World Cup. 1969 – Neil Armstrong became the first man to walk on the moon. 1971 – Decimalised currency replaces ‘pounds, shillings and pence’. 1973 – Britain joins the European Economic Community. 1978/1979 – The ‘Winter of Discontent’ strikes. The 1980s is an interesting period because since the formation of the Association it has been fully reliant for its finances through subscriptions, donations and only recently from a rental income. In 1982 we became a Registered Housing Association with the Housing Corporation, gaining access to Government grants for new build and modernisation work. A substantial development programme to modernise 1,200 homes before the end of our centenary year was initiated. 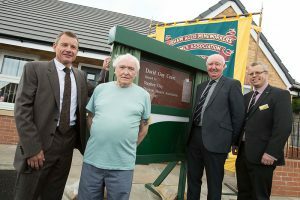 The first newly built homes since 1957 were opened in 1983 at Nettlesworth. 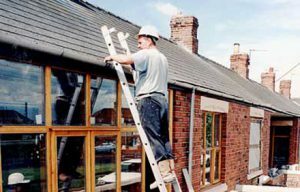 The Association embarked on new ventures by going into residential care and sheltered schemes for the elderly by building or converting suitable property for these purposes. 1980 – John Lennon assassinated. 1981 – Prince Charles marries Lady Diana. 1982 – The Falklands War. 1984 – The miners strike. 1989 – Berlin wall taken down. 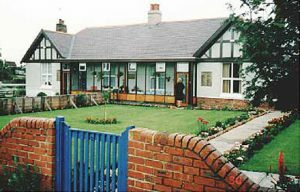 The programme laid down in the early 1980s to modernise over 1,200 of our homes was completed by the end of our centenary year in 1998. The most ambitious new build programme since the 1920s was undertaken and 204 homes were built in 13 locations in County Durham. 1995 – ‘Dot-Com’ boom takes off. 1997 – Labour Government elected. 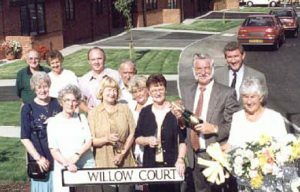 1997 – Opening ceremony, Murray Court, Chester le Street. 1998 – Modernisation programme completed. A comprehensive Asset Management Strategy is formulated which guides progress on modernisation of homes and declares some homes redundant. Strong new-build programme gains momentum to assist the regeneration of coalfield communities. 2000 – Millennium celebrations take place across the world. 2000 – George W Bush elected President of the USA. 2001 – September 11th terrorist attack on New York. 2005 – Suicide bombers kill 52 people on London’s transport system. 2005 – Liverpool win the Champions League after going 3-0 down at half time. The Association continues to grow, building hundreds of new homes across the region, including Consett, St Helen Auckland, Peterlee, Esh Winning, Horden and Bowburn. We also say goodbye to Gordon Gray and welcome Paul Mullis as our new Chief Executive.